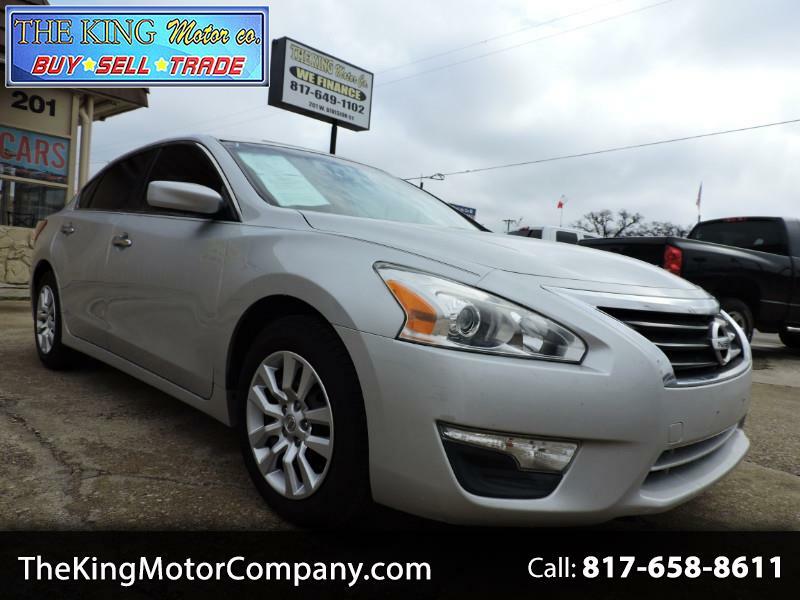 Used 2013 Nissan Altima 2.5 SL for Sale in Arlington TX 76011 The King Motor Co.
2013 Nissan Altima 2.5 S 4cyl. Automatic with 132k miles. ***CLEAN TX TITLE**Runs & Drives SMOOTH!! *TRADE INS WELCOME* BUY* SELL* TRADE**NO HASSLE BARGAIN PRICING** NEED FINANCING? WE OFFER BANK and CREDIT UNION. Visit The King Motor Co. online at www.thekingmotorcompany.com to see more pictures of this vehicle or call us at 817-658-8611 today to schedule your test drive.